On Monday, Greece is scheduled to exit its current bailout programme, the country’s third since a debt crisis in 2009 led to an unprecedented period of austerity and several hundred billion euros in loans from the International Monetary Fund, the European Union and the European Central Bank troika. The end of the latest programme, which began in 2015 and was worth €86bn, was confirmed when eurozone finance ministers agreed to a package of debt relief in June, which included a 10-year delay to some repayments. Prime Minister Alexis Tsipras said the agreement marked a return to independence for Greece, though the conditions of the deal require Athens to continue with controversial austerity measures and operate budget surpluses well beyond what is has achieved over the last nine years. Following on from the surprisingly friendly conclusion to talks between Jean-Claude Juncker and Donald Trump, US trade officials host EU counterparts for the first round of negotiations since the pair announced they would work towards eliminating tariffs last month. The entente between Trump and Juncker suggests further progress should be straightforward, though it remains to be seen how long the “new phase” in the US-EU relationship lasts if negotiations fail to meet the President’s expectations. DJ Greg James takes on the biggest job in radio when he takes over from Nick Grimshaw as host of the Radio 1 breakfast show. James, who has presented the station’s drivetime slot since 2012 and has also written a series of children’s books, inherits a show with plummeting listening figures and a new four-day format. One-time Labour leadership contender Chuka Umunna, who was last week accused by Unite chief Len McCluskey of seeking to undermine Jeremy Corbyn after warning that his fellow MPs were being pushed to “breaking point”, turns his attention away from party infighting on Tuesday to deliver what could be a significant intervention on politicians’ failure to tackle the serious youth violence afflicting parts of the UK this year. The Streatham MP will draw on his experience of working with youth charities in Lambeth to discuss the causes of the violence and what can be done to bring it to and end. Former West Yorkshire and Merseyside police chief Sir Norman Bettison is due to have an application heard to dismiss misconduct charges against him relating to the Hillsborough disaster dropped in a hearing at Preston Crown Court. The Crown Prosecution Service announced in June 2017 that it would pursue criminal proceedings against Bettison, who served South Yorkshire police at the time of the incident, along with other representatives of the same force and Sheffield Wednesday Football Club. A pre-trial hearing in the first of these cases begins next month. And this evening is the start of Eid al-Adha, the second holy festival of the Islamic calendar which takes place after Hajj, the annual pilgrimage to Mecca. Prayer events and festivities are held in cities around the UK, and the annual event in Birmingham’s Small Heath Park traditionally attracts tens of thousands of worshippers. 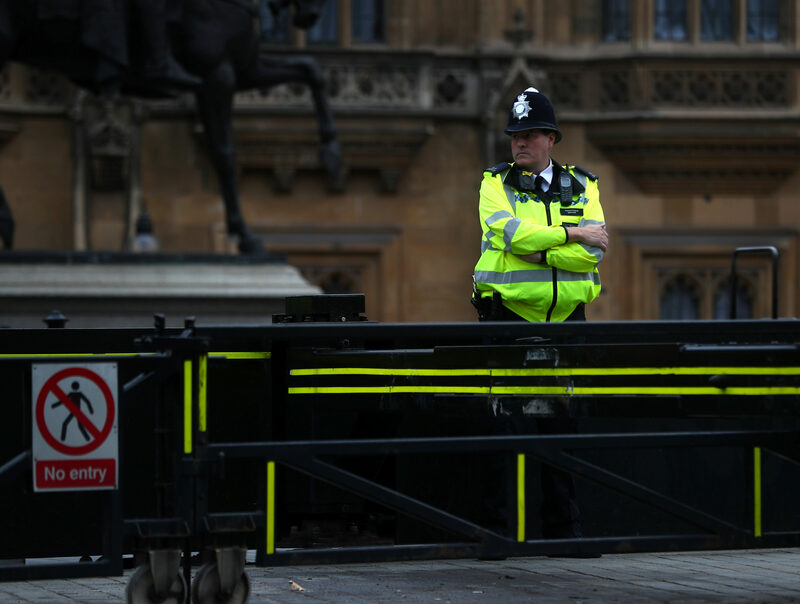 As police in London continue to question a man suspected of carrying out a terrorist attack in Westminster last week, the UN Security Council meets in New York on Wednesday to discuss threats to international security caused by terrorist acts. As part of the meeting, members receive a biannual update on the threat posed by so-called Islamic State – one of the organisation’s own reports published last week warned that the group still remains active in Syria and Iraq despite holding no significant territory. A hearing is expected to take place in Zimbabwe’s Constitutional Court challenging the result of the country’s Presidential Election in July. The case is brought by opposition MDC leader Nelson Chamisa on the grounds that Emmerson Mnangagwa’s victory was the result of a biased electoral commission. Protests, prompted by fears of a rigged vote, led to the deaths of six people in the capital Harare and dashed hopes that Zimbabwe’s first elections since the fall of Robert Mugabe would mark a new chapter for the country. Wednesday also sees the annual release of the Forbes highest paid actor list. Mark Wahlberg scooped the title in 2017 with a total of $68 million, with Dwayne ‘The Rock’ Johnson close behind on $65 million. The 2017 release highlighted the persistence of Hollywood’s gender pay gap – top earning actress Emma Stone placed 15th on the overall list ($26m), with second-highest female earner Melissa McCarthy ($18m) placing 21st. Academic results season continues as teenagers across the country receive their GCSE results on Thursday. This year’s students were the first to take new, more difficult examinations, though the Chair of Ofqual said in a statement earlier this month that final grades will still be fairly distributed as in previous years. Gone is the old system of A*, A, B and C, and in its place comes a numerical system which scores pupils from nine (highest) to one (lowest). The Telegraph has put together this handy explainer. The Home Office publishes its quarterly immigration statistics, covering those coming into the UK, extending their stay, gaining citizenship, applying for asylum, and those who are moving for work, study and family reasons. Earlier this month the CBI warned that the UK should scrap its immigration targets after Brexit, and called for an “open and controlled” policy. That report was preceded by a warning that Britain will face a future of permanently weak economic growth if immigration drops steeply in the years following our exit from the European Union, with government finances placed under strain and investment slowing. The Kansas City Federal Reserve Bank’s annual economic symposium, also known as the Jackson Hole symposium, and one of the key events in the global financial calendar, begins. Federal Reserve Chair Jerome Powell’s address is scheduled for 24 August, with this year’s topic based around ‘changing market structures and implications for monetary policy’. 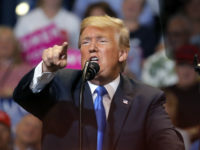 After another campaign-style rally in West Virginia this Tuesday, Donald Trump takes centre stage again on Friday as the keynote speaker at the Ohio Republican Party’s annual State Dinner. As well as his usual broadsides against the “fake news media”, the president may take the opportunity to continue his ongoing row with CIA director John Brennan prompted by Trump’s decision to rescind the ex-director’s security clearance this week. Press secretary Sarah Sanders citing Brennan’s “lying” and “frenzied commentary” as reasons for the ban. The president is also likely to comment on accusations made by former aide Omarosa Manigault Newman, who claimed that recordings exist of Trump using the N-word during filming of the Apprentice. Manigault Newman, once a contestant on the programme, also released a recording of Lara Trump offering her a $15,000-per-month job shortly after her resignation from the White House, which she claimed was “hush money”. Back in the UK, one of Europe’s largest LGBT+ events gets underway as the Manchester Pride Festival opens, with the theme for this year “the circus of acceptance”. The centrepiece of the four-day event is the Manchester Pride Parade, taking place on Saturday. A candlelit vigil commemorating those who have lost their lives to the HIV virus takes place on the festival’s final day next week. Ukraine’s Independence Day also falls on Friday. The ceremony has become highly politicised since the 2014 Euromaidan uprising and Russian intervention in Crimea and Donbas. In recent years, the Kyiv military parade has included members of volunteer battalions engaged in the separatist conflict in the east as part of the annual “March of the Unconquered”. For the UK, the weekend news agenda is likely to be relatively quiet. Not so in Ireland, where Pope Francis lands on Saturday for a two-day visit. Arriving at Dublin International Airport in the morning, the Pontiff is expected to travel straight to Áras an Uachtaráin, the presidential residence, for a meeting with Michael D. Higgins. “Pope Francis will also visit St Mary’s Pro-Cathedral, attend the Festival of Families at Croke Park and celebrate mass on Sunday in Phoenix Park. Despite the precipitous decline in church attendance in Ireland since the early 1990s, all half a million tickets for the Phoenix Park Mass are reported to have been sold, with 400,000 booked in the first 24 hours after their release. Not everyone is quite as enthusiastic about the Papal visit, with some balking at the reported €1m per hour cost of the visit. Ireland was once one of the Church’s strongholds and as late as 1991 over four-fifths of people attended mass at least once a week. Since then weekly attendance has more than halved, and the Church’s moral authority has been badly damaged by the child sexual abuse scandal and its role using thousands of “fallen women” as forced labour in Magdalene Laundries, the last of which only closed in 1996. The head of Amnesty International in Ireland, Colm O’Gorman, has criticised the Pope’s failure to meet with those affected by clerical sexual abuse, and victims are planning a protest at Dublin’s Garden of Remembrance on Sunday at 6pm. Sunday sees two major events in motor racing: Formula One’s Belgium Grand Prix and the MotoGP British Grand Prix. The track at Spa is considered one of the most important in F1, with the course hosting some of motor racing’s historic firsts. Aficionados will be keeping a close eye on two-time world champion Fernando Alonso in his first race since he announced that he was quitting the sport. Rising Belgian star Stoffel Vandoorne, widely tipped to be McLaren’s main driver next season, makes his home debut, and after a disappointing finish in the Hungarian Grand Prix the man from Kortrijk will be hoping for a podium finish on home turf.